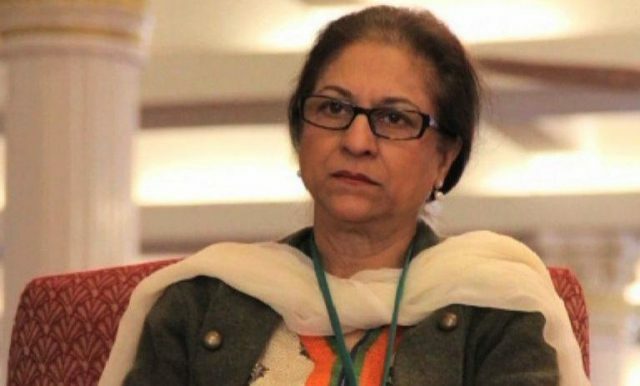 Renowned Pakistani lawyer and human rights champion Asma Jahangir – 66 passed away on Sunday morning after suffering from cardiac arrest. Asma was known for her outspoken nature and the efforts she has done for human rights. She acquired several awards, including a Hilal-e-Imtiaz in 2010 and a Sitara-e-Imtiaz. For the promotion of a Culture of Human Rights and an Officier de la Légion d’honneur, she was also awarded a UNESCO/Bilbao Prize by France. Moreover, she received the 2014 Right Livelihood Award and the 2010 Freedom Award. She played a vital role for human rights as a co-founder of the Human Rights Commission of Pakistan and the Women’s Action Forum. For her services towards building a democratic Pakistan, she will always be remembered. Her sudden death has left everyone in shock. This is how different human rights activists, legal professionals and media persons reacted to the death of Asma Jahangir. “Heartbroken that we lost Asma Jahangir – a savior of democracy and human rights”, says Aseefa – a lawyer by profession. Not only Pakistan’s human right activists, lawyers, civil society and media persons expressed grief over the sudden death of Asma Jahangir, but Indian celebrities including Shabana Azmi, Nandita Das, human rights foundations and EU Ambassador Lars-Gunnar Wigemark, Deputy Director of Asia Program Michael Kugelman also shared their thoughts about the great loss.